Cakes and bakery items for the holidays can be ordered until 11:59 PM on Saturday, December 22nd. 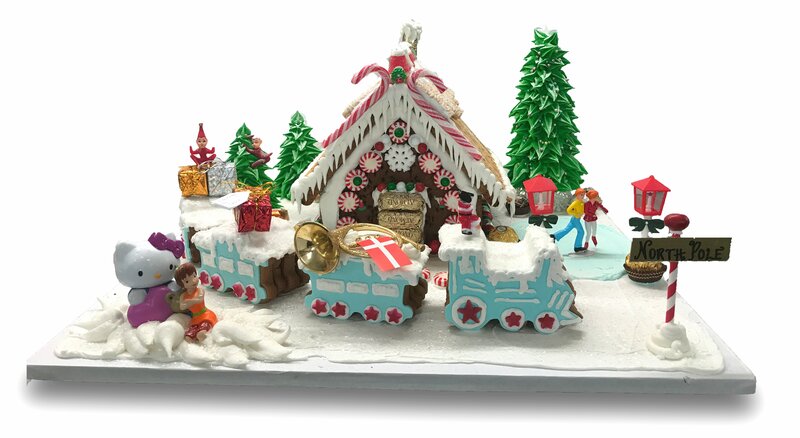 Gingerbread houses can be ordered until Sunday December 16th. Bakery items, specialty cakes, and coffee cakes can be ordered online. Please allow a minimum of 24 hours to process most online orders. Some orders, such as the special occasion cakes, special order items, or larger bakery orders may take longer. Most highly decorated customized special occasion cakes take 48 to 72 business hours to make. A Special occasion cake is ordered through one of our cake specialists. Request a quote for a special occasion cake here or call the bakery at (650)342-1357 and ask for one of our cake specialists. Holidays are especially busy. Please order well ahead because we may cutoff orders two or three days before the holiday due to the high volumes we experience.